“We were very lucky to be able to secure Mattie to photograph both our engagement shoot as well as our big day. Mattie was an absolute dream to work with. During our first meeting and subsequent correspondence, she took the time to show us examples of her previous work and made many helpful suggestions for our day-of schedule and locations. For our engagement shoot, based on a set of inspiration photos that we had provided, Mattie found the perfect location within our travel radius that had all of the elements we were looking for. She also gave us excellent direction in posing naturally and we felt completely at ease with her guiding us. Once we saw the first sneak peek, we knew we were in good hands with Mattie as she was able to capture exactly what we had envisioned ahead of the shoot. Mattie was beyond amazing on the wedding day as well. I have a large boisterous family and she was able to corral everyone and efficiently capture not only amazing shots of us amidst the chaos but also photos of the various decor, as well as group photos and candid shots of our family members (which I especially appreciated as I was running around all day and didn't have the chance to stop and enjoy everything). She rolled with the punches all day in terms of timing and lighting for various photos that we wanted to take. Mattie not only was in peak form on the day of our wedding, she also worked in record time to get us all of the edited photos after our wedding. We were absolutely thrilled with her work (which speaks for itself) and we received so many compliments on the photos from my family and friends. "Mattie was our engagement and wedding photographer, and she was absolutely fantastic! Highly, highly recommend her for your special occasion. Kevin and I loved working with her. She made us feel relaxed and comfortable in front of cameras. We were able to laugh and be ourselves. She is such a happy person and you can tell she loves what she does. She pays attention to details and she has wonderful suggestions and ideas for photoshoots. At the wedding, she went above and beyond with her role as a photographer. Not only did she capture our romance and love beautifully, she cared for our guests and captured as many guests as possible. 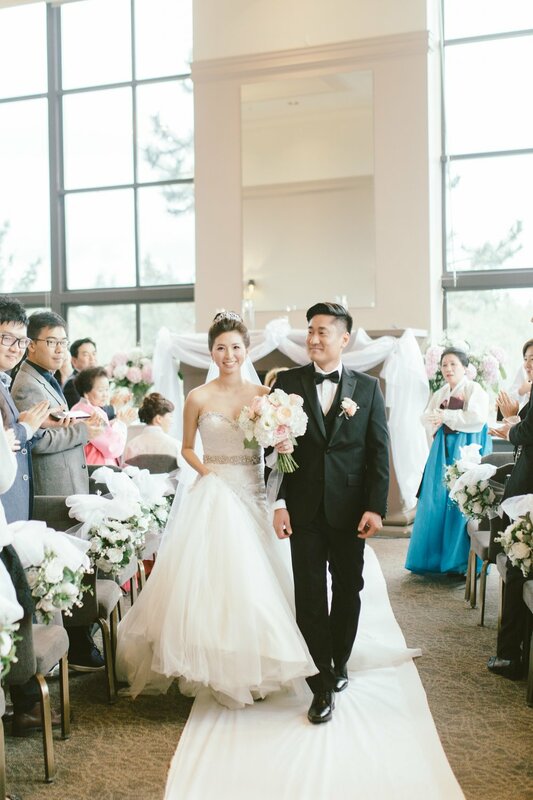 When we viewed our wedding photo gallery, we were able to reminisce our Big Day as if we were still there. Her photos are lively and lovely at the same time. We played our wedding photos as a slideshow at the house-warming party, and all of our friends were amazed at every photos. They praised Mattie’s photography skills. We also received many compliments after the wedding from our guests how Mattie always had smile on her face and worked so diligently. We are very grateful that we worked with a great photographer. Thank you again, Mattie!" "We found Mattie through Instagram when we were searching for the perfect photographer for our wedding. We instantly fell in love with her warm & romantic photography style. Mattie is so talented, professional, and sweet. She guided us through the whole photoshoot and we had so much fun that day. The outcome was beautiful as we expected & we would highly recommend Mattie to anyone who is looking for a photographer." "Mattie did a wonderful job of capturing our wedding day. I chose her due to her beautiful wedding portfolio, and she did not disappoint! She was professional, friendly, efficient, and very accommodating. She was with us for 10 hours at three different locations in North Vancouver, and captured beautiful photos at every location. After the wedding, several guests asked if Mattie was a friend of mine, due to her friendly and courteous manner! In fact, we'd only met the day of the wedding! After we received our photos, I was pleasantly surprised how many perfect shots she took. Our guests and those we shared the photos with were all very impressed too! Mattie also accommodated some edits I requested to some of the photos. I will cherish these photos forever, thank you Mattie!" "Mattie did an amazing job on our engagement and wedding photos. Her soft, artistic and romantic style of photography drew us to her. Working with her was an absolute pleasure as her relaxed demeanor made us feel comfortable in front of the camera capturing special moments of both days. Mattie was very accommodating, sweet, and professional. We really enjoyed working with her and would definitely recommend her to our friends. Thank you, Mattie, for capturing both our big days!" "Mattie was the consummate professional at our wedding, and our guests were amazed at how hard she worked throughout the night to ensure she captured every special moment. My husband and I absolutely love our wedding photos; every time we look at them we’re reminded of the beauty, emotion and fun of our special day. Mattie was an absolute pleasure to work with and I would recommend her to any couple looking for a talented photographer!" "Such a talented and professional photographer. She really did more than what she was supposed to do for. She prepared the flowers and some props in which i was forgot to bring. She was also very time efficient, other photographers would require about more than 3 weeks time to get the photo done, but she did a marvelous job in editing the pictures in just 2 weeks. I was blown away by the quality of her works." "Mattie was an absolute pleasure to have present for our wedding day. She was professional, efficient with time we had, and very relaxed in her approach to our photos. She balanced allowing us to just enjoy the moment, with ensuring we took memorable pictures with the family as well. Both of our candid as well as 'posed' (but didn't look posed) photos turned out better than I ever expected. I highly recommend her to friends and family alike." "Mattie did such a wonderful job on our photos for our wedding. She not only recorded everything, but she captured the romance of the moments. She was also so easy, organized and fun to work with, I didn't have to worry about a thing. I'd definitely hire her again!" "I was very happy with how my engagement photos and wedding photos turned out. Mattie is a very talented photographer and was a pleasure to deal with. We coordinated everything with her from out of province and she made everything a smooth process. Would definetly recommended her!" "Mattie is an amazing photographer and we loved her unique style of photography. She is very easy to work with and the photos of our engagement are a dream. We would recommend her to everyone looking to capture their special events." "We had the pleasure working with Mattie for both our pre-wedding and wedding day photo. Mattie did a fantastic job in capturing all the details of our wedding, and we were pleased with her for being both professional and approachable to our guests. It was easy to communicate with Mattie from start to finish because she was open to our ideas and resourceful in planning our photoshoot. Thank her for being details-oriented and easy to work with!" "Mattie was our fashion photographer for our SS17 collection. The photos she took absolutely captured the moment we longed for. Not only is she talented and professional, also incredible to work with. She had us blown from the beginning with her suggestions with location and scouting, her eye was perfect. We highly recommend Mattie to anyone who is getting married or looking for fashion shoots, your photos are guaranteed to be beautiful." "I recently had Hopeless Romantic (previous name) photograph my wedding. They were amazing! My husband and I tend to be quite awkward and uncomfortable in front of the camera but they made us feel relaxed and helped us look great in our photos. They shot our engagement and wedding photos and they were an absolute joy to work with and the pictures turned out amazing. They really captured our moment and we are thrilled we will have these memories forever. They even sent us a little care package with a few of their favourite photos printed and a gorgeous little USB with all the photos." "Vivien and I had our pre-wedding styleshoot with Mattie at the peak in Hong Kong. She was very professional and patient with us the whole time. The photos were delivered very soon after the shoot, and turned out really amazing! Thank you again Mattie! "I discovered Mattie searching online for the best photographers in Vancouver. I was so impressed with Mattie's work that I booked a session for my new website photos. She made us feel at ease and we had fun at the shoot! I am thrilled with how the photos turned out. I loved working with her and look forward to doing so again in the future." "As an ex advertising professional, I've worked with a lot of photographers and creative types. After working with Mattie, I can confidently endorse her as a very talented portrait photographer with a strong creative eye, a kind and pleasant character that puts you at ease, and a high degree of professionalism. I would highly recommend her to those who want beautifully artistic portrait photos that "tell your story"!" "Mattie was very professional throughout the entire process and was very easy to work with. She was very accommodating and had many creative suggestions for poses/photos. Mattie was able to capture the essence of who I am through her photos and quite frankly took some of the best photos I’ve ever had taken of me. She delivered beyond my expectations and captured the spirit of what I was looking for. The photos she took were absolutely beautiful and elegant. I would definitely recommend working with her and I look forward to working with her again sometime soon!" "To share my experience... my husband and I were on a vacation and spontaneously wanted to do a photoshoot at Stanley Park. With our time constraints it was difficult to find an expert who was fairly priced and available. In the search, Mattie was recommended by an ace photographer who had been in the business for a long time. Thankfully she was able to work out a slot and prepared us with some tips around attire and specific areas to shoot at the park. On the day of the shoot, Mattie was quick, efficient and very accommodating. She guided us with poses, lighting and captured shots from various angles. Looking at the outcome now, we are both very amazed at the pictures and the editing. It was great working with Mattie and we would love to work with her again when in town!"